Spendesk, a Paris, France-based provider of a business management spending platform, raised an €8m Series A funding. The round was led by Index Ventures, with participation from business angels such as Michael Benabou, co-founder of Vente Privée, Laurent Asscher and Showpad cofounders – Louis Jonckheere and Pieterjan Bouten. The company intends to use the funds to accelerate product development and expand across Europe. Founded in 2016 by Rodolphe Ardant, CEO, Jordane Giuly and Guilhem Bellion within eFounders startup studio, Spendesk provides a SaaS based platform for employees to make company purchases and businesses to manage all expenses. 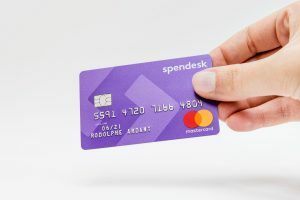 Employees of Spendesk clients use the solution to make purchase requests, instantly access virtual cards to pay online or scan their receipts when paying in-person with their prepaid Mastercard® card. They have autonomy within the pre-defined company’s spending limits and benefit from transparent approval flows. Finance teams monitor spending in real time and have immediate visibility over all company spending. All payments are instantly categorized, matched with invoices and exported into the company’s accounting software. The platform has already been adopted by more than 600 companies across Europe in less than 12 months.